National Library Week, held annually during the 2nd week of April, recognizes the values of libraries in our communities. This national observance, which is sponsored by the American Library Association (ALA), is celebrating its 60th anniversary this year. In the 1950s, ALA and the American Book Publishers formed a non-profit group known as the National Book Committee. They were concerned that people were reading less due to the growth of radio and television. The plan for National Book Week was finalized in 1957 and observed in 1958 with the theme “Wake Up and Read”. Although the National Book Committee dissolved in 1974, the American Library Association assumed full sponsorship. 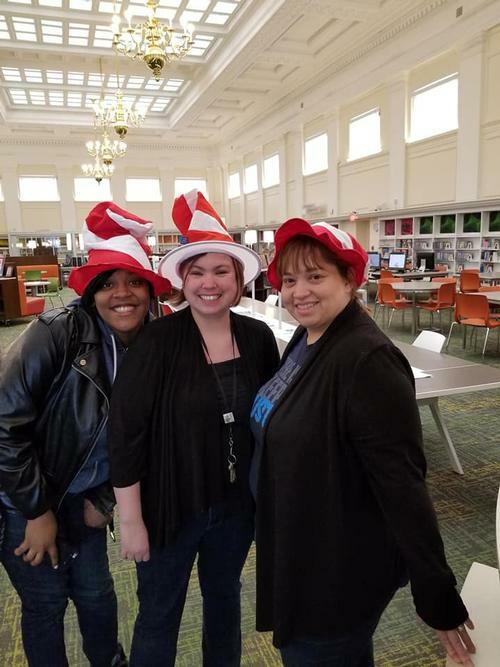 Today we celebrate National Library Workers Day, recognizing the contributions made by Free Library staff who advance literacy, guide learning, and inspire curiosity each and every day in libraries throughout our great city. 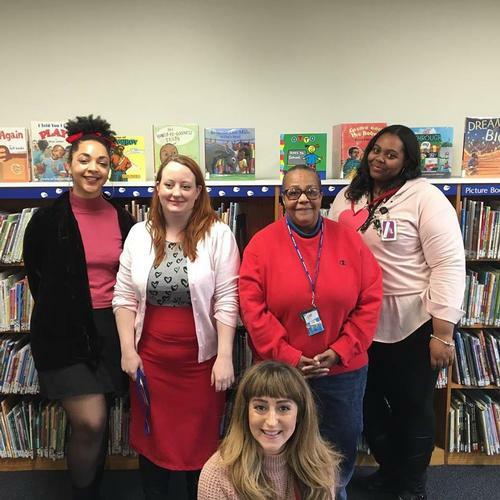 From offering social service support and health services to career and small business development assistance and tools to help combat fake news, library staff provide opportunities for engagement, enrichment, and development. This year’s theme, “Libraries Lead”, acknowledges that our profession is adapting beyond traditional service to meet the needs of our ever-growing communities. 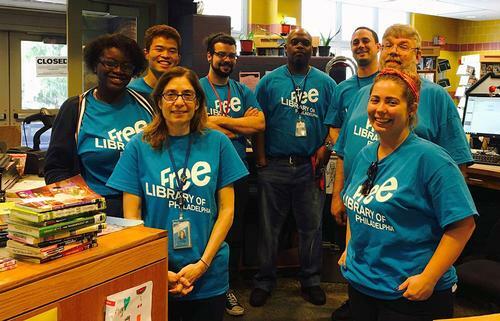 Thanks to our staff, the Free Library of Philadelphia is at the forefront of this movement! To show appreciation for library workers and the work they do throughout the year, library users are invited to "Submit a Star" by providing a testimonial about a favorite library employee from their neighborhood library. Examples of nominations can include how library staff helped with writing a resume, an exciting event or program they attended led by engaged library staff, or how a library staff member helped find that book that you only remembered part of the title to or the author's first name. Each testimonial will be posted in the “Galaxy of Stars” on the National Library Workers Day website to honor deserving library workers. Nominate a library worker for recognition today! You can also shine a light on library workers on social media, via Twitter, using the hashtag #NLWD18, and/or posting a comment on the NLWD Facebook page. Take a minute to watch our great staff in action, and thank you to all of the Free Library employees who help transform lives! it has been my experience that library workers are stupid , boring and ugly. they sit and give out wrong information. they should all be fired and replaced by google text to speech..
Add a Comment to National Library Week: Celebrate National Library Workers Day!